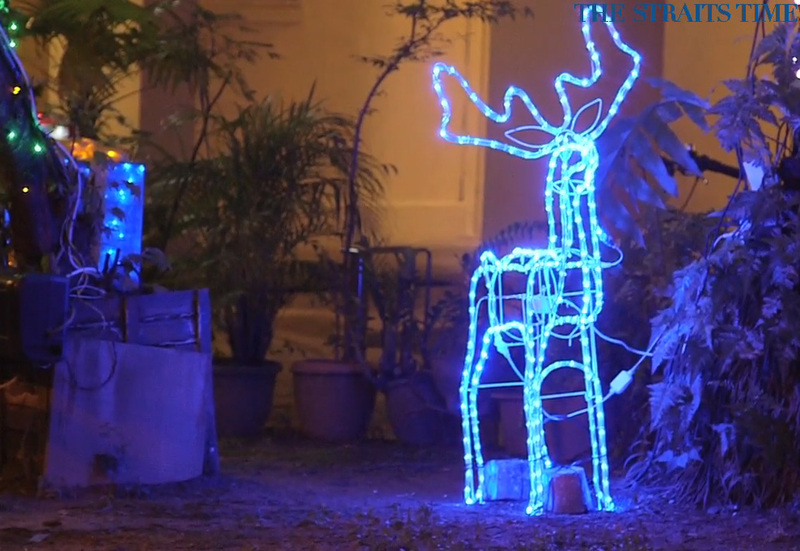 A Toa Payoh resident will get to keep the makeshift Christmas lighting and decorations that he has put up outside his HDB ground floor unit. 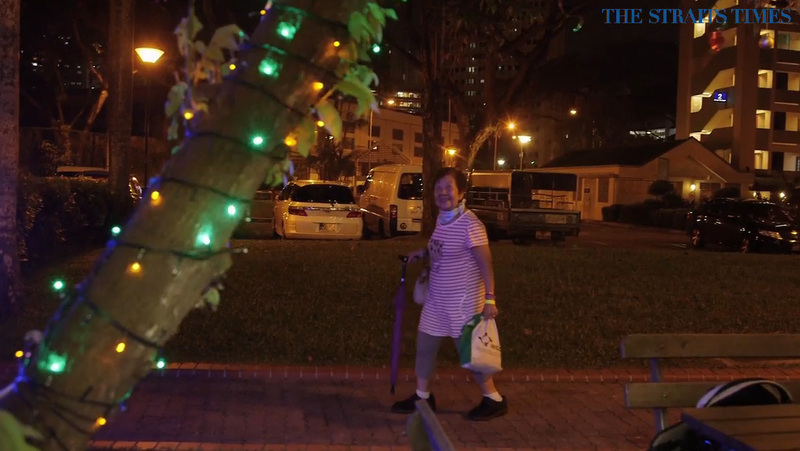 SINGAPORE - A Toa Payoh resident will get to keep the makeshift Christmas lighting and decorations that he has put up outside his HDB ground-floor unit. 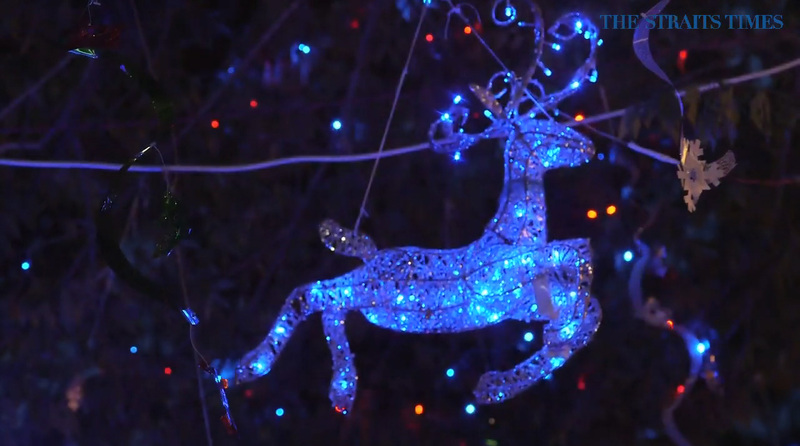 For the past three years, Mr Martin Silva's glittering patios had become a meeting point for residents during the festive season, with some queuing to have their pictures taken there. But they have also got him into trouble with the town council. 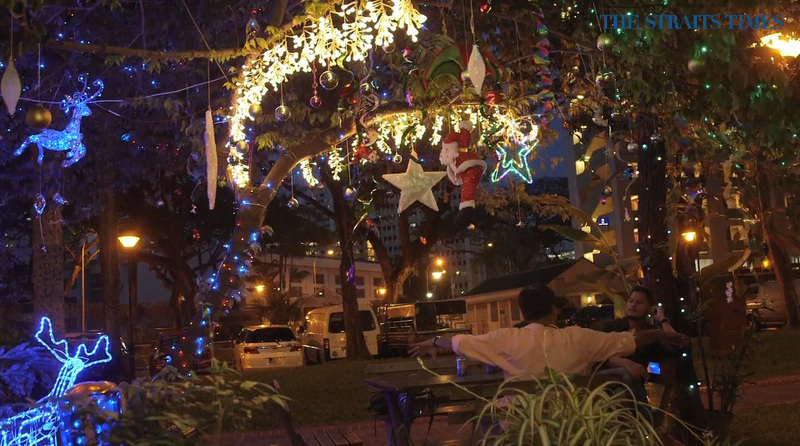 Mr Silva, 57, was fined several times by the Bishan-Toa Payoh town council for unauthorised use of public space and was told that the Christmas scene might have to be taken down. An intervention by Mr Zainudin Nordin, Member of Parliament for Bishan-Toa Payoh GRC, has helped resolve the issue. 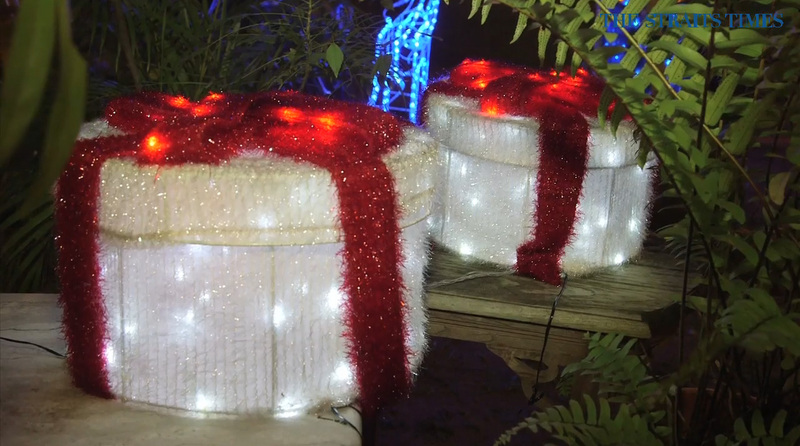 The MP said on his Facebook page yesterday that the makeshift Christmas structures and decorations can remain so long as Mr Silva agrees to keep the area open for community use. Speaking to The Straits Times yesterday, Mr Silva said the decision was a step in the right direction to bring back the "kampung spirit". "This is a fantastic breakthrough for families like mine who are just trying to bring people together, and opening their homes to everyone," he said. 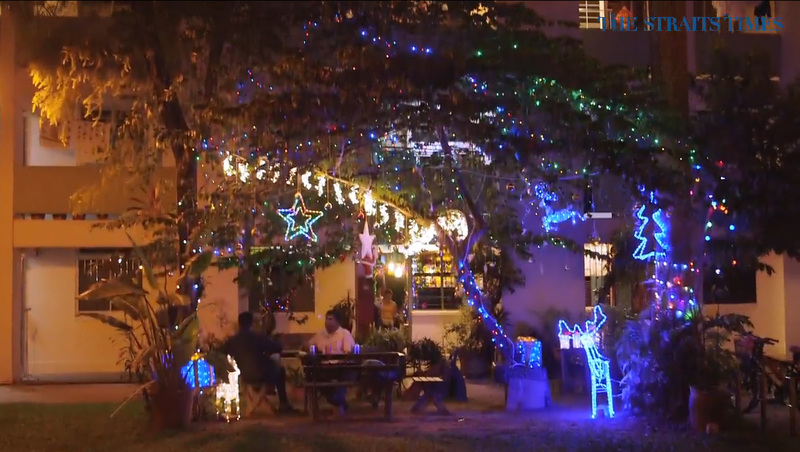 For the past three years, Mr Martin Silva's glittering patios have become a meeting point for residents during the festive season. But they have also got him into trouble with the Bishan-Toa Payoh town council, who fined him several times for unauthorised use of public space. 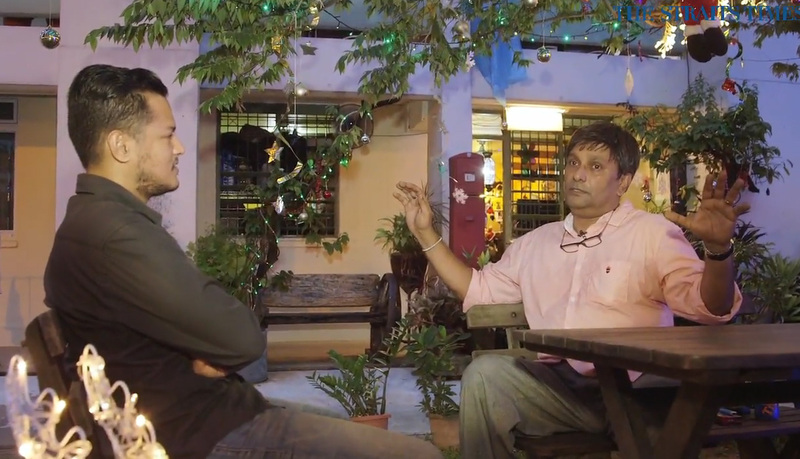 A video featuring Mr Silva by The Straits Times drew an outpouring of support from Netizens on the paper's Facebook page. 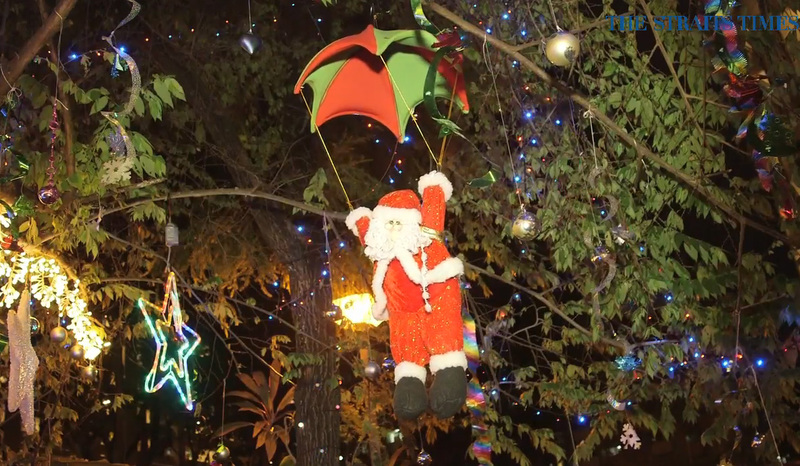 Following a meeting with the CCC and RC, the makeshift Christmas structures and decorations will remain so long as Mr Silva agrees to keep the area open for community use. Speaking to The Straits Times on Thursday, Mr Silva said the decision was a step in the right direction to bring back the 'kampung spirit'. He said he will not be claiming the fines paid to the town council, which amount to $2,200 over the past three years. He added: "This is a fantastic breakthrough for families like mine who are just trying to bring people together, and opening their homes to everyone." On Facebook, Mr Zainudin said he understood the town council's concerns. "But at the same time, if residents have good ideas to bond the community, we should encourage them," he said. 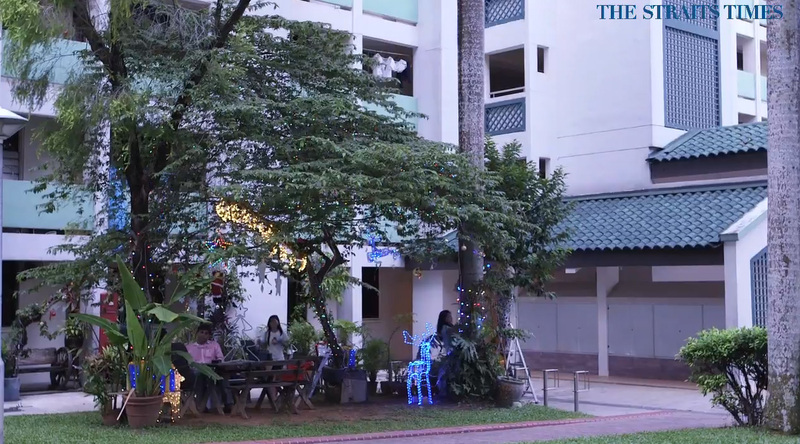 In an e-mail statement, Bishan-Toa Payoh Town Council CEO Ling Ming Chuan said the council had inspected Mr Silva's makeshift patios which were erected in the front and rear of his unit, and took issue with the latter. 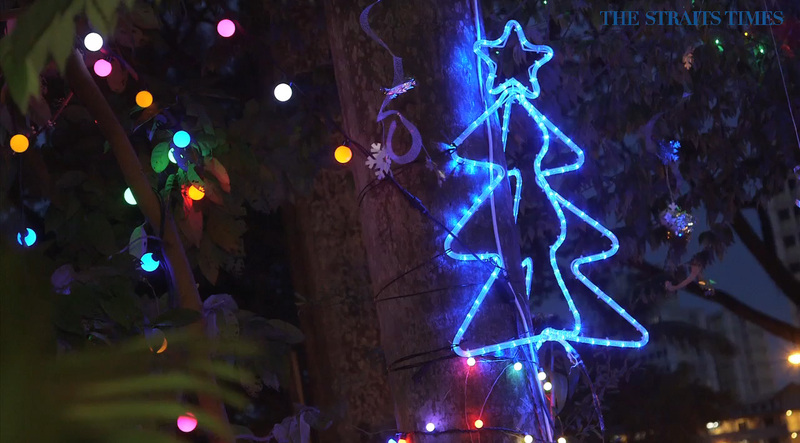 Mr Ling said the town council had no issues with the decorations as they added colour and festivity to the block and were enjoyed by residents. In his Facebook post, Mr Zainudin said he understood the town council's concerns as it has the responsibility to keep common areas safe for residents. "But at the same time, if residents have good ideas to bond the community, we should encourage them," he said. "The RC members informed neighbours that they would adopt this as a community project for all residents to use." 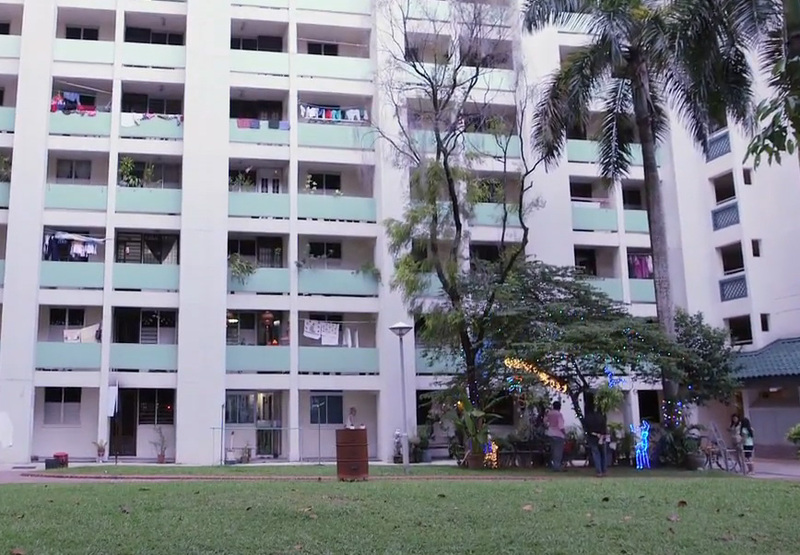 In a statement yesterday, Bishan-Toa Payoh Town Council CEO Ling Ming Chuan said the town council had inspected Mr Silva's makeshift patios which were erected in the front and rear of his unit, and took issue with the latter. The wooden plank flooring of the patio at the rear of his unit was warped and uneven, and had holes in them, which posed a danger to the elderly and young children. It was also a potential mosquito breeding site. 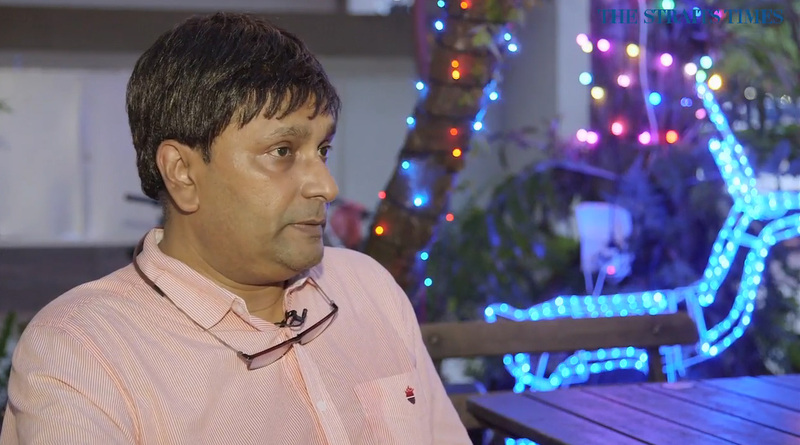 The statement added that Mr Silva had earlier been informed that his patios infringed common property by-laws to protect residents' safety and that fines were issued for non-compliance with the by-laws. Said Mr Ling: "The Town Council is happy to support all projects which promote community bonding. "However, these projects must benefit not specific individuals, but all residents and must not endanger their health or safety."